Some have asked why I am not taking my annual trek to India. Although I have a great burden for the work in India and plenty of requests to go to India, God has led me to a different place this year. 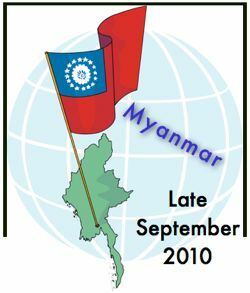 Not one, not two, but three organizations from this country in East Asia sought us for providing leadership training. I believe this was orchestrated by the hand of God. (These groups are not related to each other). At the same time, a translation ministry there has requested BFF's materials. God has opened doors for us to train His people in this restricted country. One brother from there provided me with this introduction of where I will be going. "There are, approximately, 58 million people and 7 percent of the total population is Christians, and Buddhists 87 percent, and the rest are Hindus, Muslim. This country has been ruled by military dictatorship since 1962 that due to the political condition, there are many problems and hindrances Christian ministry face here. Although there is no official religion, Buddhists religion is considered as the major religion with special access to public resources and governments supports." Most of the believers have been from tribal areas in the north but many are coming to faith in Christ Jesus. 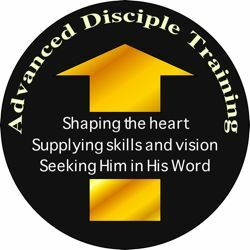 There are many disciples of Jesus eager to step into ministry. BFF will hold three three-day pastor and Christian leader training seminars. Depending on the situation, we design a specialized track of training along with translated material. This time it will be both an overview of spiritual development (The Flow) and at the same time teach them how to grow personally, find breakthrough and how to help others grow. Doesn't this sound like Christian life and ministry? This is the backbone of leadership development, and so we start here. Will you consider joining us in this ministry? We're planning two urban training seminars and one in the rural north. Praise the the Lord that the lengthy visa applications are gone. But do pray no hassles obtaining one at the airport there. I am having difficulty getting an inexpensive ticket. Thank the Lord for orchestrating this special opportunity in what has long been considered a closed country. Provision for $8,000 in finances. Paul's family when away. Homeschool will have just started at that time. Sensitivity to the Holy Spirit's leading. Safety, strength and wisdom to teach. We greatly anticipate God's powerful work. Please pray that His people are touched, helped and transformed. We are honored to be entrusted with this work. Please considering joining in deepening the roots of His kingdom. Keep praying for Nathan. No further news yet. It was nice to hand Allison her high-school diploma as she tossed her tassel from one side to another. Thank the Lord that Linda's knee is much better! Thank the Lord for the recent start on training in Inductive Bible Study through Titus. Checks can be written to BFF - nonprofit organizations with 501(c)(3). Tax deductible receipts will be sent out at the end of the year.